Ready to challenge yourself and learn how to run your own construction business? The Diploma of Building and Construction (Building) (CPC50210), offered by Builders Academy Australia, is the course you need to take your career to the next level. Throughout this comprehensive course, you’ll gain the skills, knowledge and confidence to help you manage and supervise construction work. From tender documentation and structural principles to cost estimations and hiring of contracts, you’ll cover all the areas you need to excel in the next stage of your career. You’ll emerge from the course knowing all the ins and outs of running a small- to medium-sized business, ready to oversee the the construction of commercial buildings and medium-rise residential projects. So why not enquire today? Your future is waiting! If less than five years experience, must enter the less standard stream. 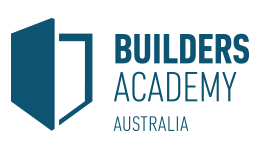 Upon successful completion of this course you will receive a Diploma of Building and Construction (Building) from Builders Academy Australia. Graduates are prepared to pursue management/supervisory roles in the industry and/or start their own building business. Graduates may also use their qualification as part of their application to become a Licensed Builder with the Victorian Building Authority. The maximum fee for this course is $12,960. The NSW Smart and Skilled program offers funding to individuals looking to enrol in specific courses in certain areas of NSW. Under Skills First Funding program, the Victorian government will contribute to the cost of training for eligible Victorian students to study courses that will prepare students to work in an industry with growing need for skilled workers. If you’re a permanent resident of Queensland and an Australian resident aged 15 years or older, then you may be eligible to receive a subsidy on your tuition fees through the Queensland Department of Education and Training.